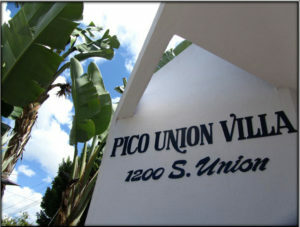 Pico Union Housing Corp. (PUHC) was founded and incorporated in 1971. 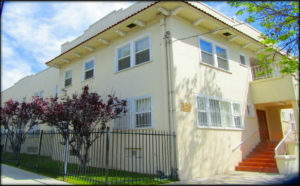 The Pico Union Housing Corporation (PUHC) is a community based organization with a mission to develop and preserve affordable housing, emphasizing residential ownership, the establishment of effective community organizations and facilities, and the creation of activities that will economically develop and benefit their low income constituents. PUHC has been a recognized development organization for over 40 years. PUHC presently owns and operates approximately 1,000 units of affordable housing and targets 100% of its housing programs to serve low and very low income families. The goal of PUHC are to reduce dependence on welfare, reduce the unemployment index, decrease school drop-out rates and assist its constituents in creating wealth. PUHC hopes to meet these ambitious goals by assisting youths to enter the workforce througjobs that are in high demand and pay a living wage. 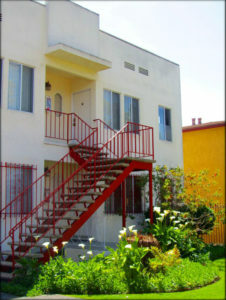 Pico Union Housing Corp. (PUHC) is situated in the Pico-Union community, an urban area immediately southwest of downtown Los Angeles, bordered by the Harbor Freeway (110), the Santa Monica Freeway (10), Hoover Boulevard and Olympic Boulevard. Pico-Union is sandwiched between Westlake on the north, Downtown and the Staple Center/Nokia Center on the East, the Adams/Figueroa-USC area to the South, Mid-City to the West, and Wilshire/Korea town to the Northwest. Fifteen years ago, the organization expanded its housing services to areas outside of their community base. The organization presently represents approximately 6,000 constituents, and targets 100% of its housing programs to serve low and very-low income families. 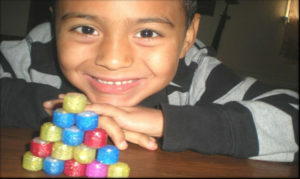 The specific and primary purposes for which this corporation is formed are: To own and mortgage, on a nonprofit basis, low and moderate income housing in the Pico-Union and other similarly disadvantaged and economically depressed neighborhoods, for poor persons and families who qualify for such housing and could not otherwise afford decent, safe, and sanitary housing; and to carry out any activities permitted to be carried on by a corporation exempt from Federal Income Tax under Section 501 (c)3 of the Internal Revenue Code of 1954 and Section 23701(f) of the California Revenue and Taxation Code, as amended. PUHC is one of the oldest grass roots organizations and one of the leading community based non-profit housing developers in Los Angeles. As local neighborhood conditions have changed over the years, PUHC has expanded its original mission to include computer education programs to help the community to make a technologic transition and improve the economic welfare of its residents. PUHC strives to create opportunities for resident empowerment and increased self-sufficiency. This is done by providing job training and involvement opportunities within its real estate development and management activities. PUHC is actively involved in the operations of each property in its portfolio, and its administration is well regarded by the Board of Directors, property residents, regulating government agencies and the community surrounding these complexes. 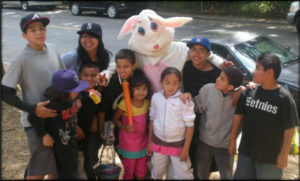 The Pico-Union Community is a multi-ethnic, multi-lingual community with predominately Latino speaking residents. PUHC strives to cultivate a kinship of neighbors in every building they develop, own and manage. Currently, PUHC has communities in the Pico/Union, Temple/Beaudry, Westlake, East Los Angeles, Watts, Hollywood, Mid-Wilshire and Adams/Normandie areas of Los Angeles and in the City of Coalinga, California. In an effort to point young artists in the community in the right direction, Pico Union Housing Corporation initiated the Graff Lab. This community club gives street artists a venue to display their art that might otherwise get interpreted as defacing private or public property when the art is not given permission to be there. Instruction is also given through the Small Business Incubator in how to use an artistic ability to make a profit. Artists come from around the world to inspire the local young generation with their creations. – AOA Apartment Owners Association. in the Pico-Union Community. Some of the community-based organizations include: Alcoholism Center for Women, Angelica Lutheran Church, Carecen, Catholic Kolping House, El Rescate, Immaculate Conception Church, PTSA Los Angeles Tenth District, Red Shield and the Tenth Street Elementary School. 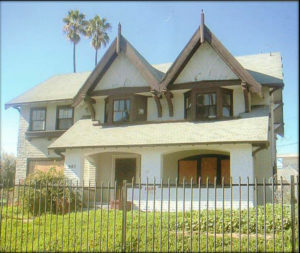 The Development involves the relocation and restoration of two turn of the century architectural structures donated to the organization by a private citizen and moved to a vacant lot located at 1115 Alvarado Street in Los Angeles. The lot was provided by the Community Redevelopment Agency (CRA) under a Disposition and Development Agreement (DDA). The lot is approximately 27,600 square feet and is large enough to accommodate both houses. The structures will house several nonprofit organizations providing social programs such as creation of job opportunities, job training and job placement. One structure will house the Pico Union Economic Development and Empowerment Center (PUEDE), which provides programs and services, such as ESL training, GED preparation, and Small Business Enterprise Seminars and other programs to assist young adults entering the workforce and/or starting a small business. The second structure will house the Historical Restoration and Construction Trades Apprenticeship Program, where local youth will learn construction and historical restoration trades. The restoration will be financed with a $1.5 million grant from the California Cultural and Historic Endowment (CCHE) and developer’s fees from the organization. First Occupancy was February 2006, the cost of the completed development is $4.5M and the property consists of 13 newly constructed Town homes specifically targeted to large families with low to moderate incomes. The construction loan was provided by Century Housing and the final financing was made with Tax Credits and a permanent loan from the California Community Reinvestment Corporation (CCRC). An additional soft loan was provided by the Community Redevelopment Agency (CRA) and a grant was provided by the Staple Center (AEG). The project was designed to meet the redevelopment goals of the City of Los Angeles Community Redevelopment Agency and is a part of their master development plan. 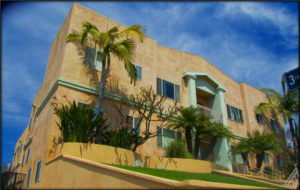 The development consists of two 2-story buildings containing 6 and 7 units. 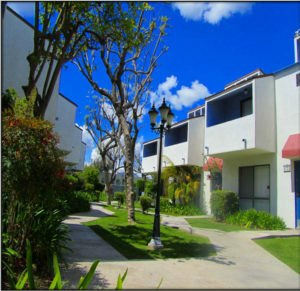 Each unit includes 4 bedrooms, 2.5-3 bathrooms, a private garage, and interior laundry hook-ups. Upon the ending of the Tax Credit compliance, the town-homes will be offered to its residents under the program for first time home buyers. Pico Union Housing Corporation developed for Dolores Frances Affordable Housing Inc. 366 units of existing affordable housing partially subsidized with a section 8 based contract; PUHC concurrently financed the acquisition and supervised the rehabilitation with tenants in place. The units consist of Studios and 1, 2, 3 and 4 Bedrooms combined with 5 commercial spaces over 32 scattered sites. 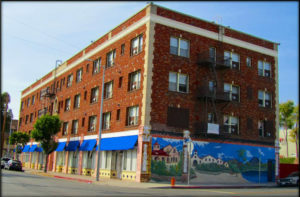 The development was financed and guaranteed by Pico Union Housing Corporation with $19M in Tax Exempt Bonds issued by the Los Angeles Community Redevelopment Agency (CRA), $8M in Tax Credits, a loan from the CRA and a 221 (d)4 loan insured by HUD. The total development cost was $38M. It closed in February 2004 and the final endorsement was completed in December of 2006. 2003 BILL CRUZ EARLY EDUCATION CENTER. 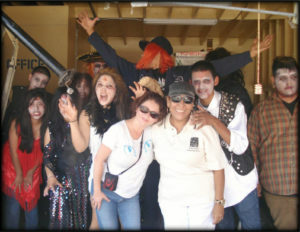 1998 Two groups were initiated: The Parents in Action and Teens in Action. Discussing the importance of restoring and revitalizing the community, the Home Ownership and Restoration Program (HORP) was formed and incorporated into the Pico-Union Housing Business Plan and earmarked to begin in the year 2002. 1997 PUHC developed the Neighborhood Computer Distant Learning Center. The center offers residents an opportunity to learn job skills to improve their lives and become economically independent citizens of our society. The center has four satellite locations with technologically advanced interactive telecommuting capabilities. Besides teaching the most advanced computer software, the center also provides adult basic education, pre-GED preparation, and ESL classes provided by a Charter School. PUHC strives to create opportunities for resident empowerment and increased self-sufficiency. 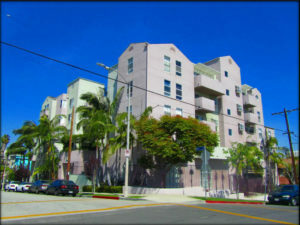 1996 Miramar, Sunset, Hollywood Parkview and Mid-Wilshire Apartments – PUHC successfully organized and incorporated four non-profits to purchase 242 units of Section 8 housing at risk under the provisions of the Low-Income Housing Preservation and Resident Homeownership Act (LIHPRA) of 1190. The transaction closed on August 29, 1996, and the units were rehabilitated with tenants in place. The funding source was a loan/grant from the U.S. Department and Urban Development Corporation (HUD). 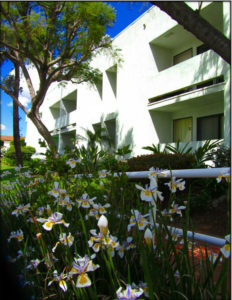 1995 PUHC successfully completed the new development of the Marina, Mercedes and Elden Apartments, 114 units with one, two, three and four bedrooms in the West Lake area. The financing was provided by Los Angeles Housing Department (LAHD), 9% tax credits, a private loan and guarantees provided by PUHC. 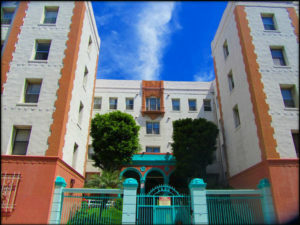 1994 PUHC acquired from the Resolution Trust Corporation and performed a major rehabilitation of Luisa Apartments, located in East Los Angeles. This project was financed with funds from the Los Angeles Housing Department (LAHD), 9% tax credits, and a private loan and guarantees from PUHC. Restructuring the plans, the original units were reduced from 61 to 56 and a community and educational center, complete with a kitchen and a computer center was created. 1993 PUHC expanded its boundaries to create affordable housing in the Temple-Beaudry, West-Lake. 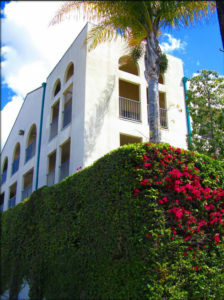 Las Brisas Apartments, a 30 unit building consisting of 1, 2 3 and 4 bedrooms was financed with funding from Los Angeles Housing Department (LAHD,), 9% tax credits, and a private loan and guarantees provided by PUHC. 1992 PUHC acquired the Bellevue Apartments and developed it at a cost of $1.6 Million. 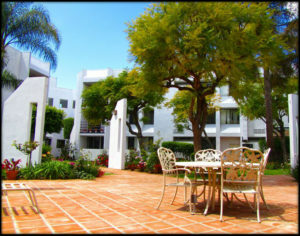 This property was originally built as a hotel and was in the possession of the Community Redevelopment Agency (CRA). The structure was rehabilitated and converted into single residential housing with 5,193 Sq.Ft. of commercial space. During the up-rising of April 1992, caused by the outcome of Rodney King’s trial, the building was used to shelter homeless families that were victims of the riots. 1,692 Sq.Ft. were allocated to the U.S. Housing and Urban Development Department (HUD) to create a Neighborhood Opportunity Center (NOC) to address the needs of the community. Later PUHC used 319 Sq. Ft. to create a Neighborhood Computer Learning Center (NCLC) and 616 Sq. Ft. to create a shoe repair training center. The remaining commercial spaces were rented to private entrepreneurs. 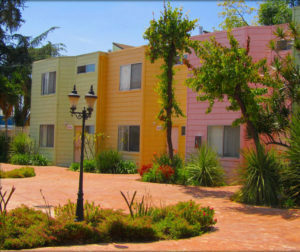 1982 PUHC completed two housing developments, one with 8 – 2 bedroom units and the other with 18 singles and 8 one bedroom units. 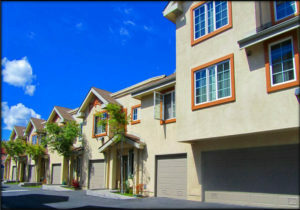 The development consisted of three move-on housing developments donated by the Century Freeway during the time they were demolishing housing to build the Century Freeway. With the financial help of various government agencies, the three properties (26 units) where successfully relocated and restored by PUHC. 1982 PUHC and the residents of the community achieved realization to their hard work with the completion of seven housing developments on 24 scattered sites. Five developments were new construction with 21 scattered sites consisting of 12 four bedroom, 67 three bedroom, 20 two bedroom and 10 one bedrooms. 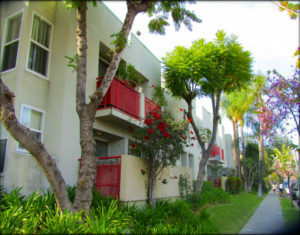 Three housing developments were move-on housing consisting of 4 two bedrooms, 13 one bedrooms and 9 single apartments. During this year PUHC achieved the completion of 135 residential units. 1979 PUHC achieved completion of its first elderly building: 115 one bedroom units dedicated to the elderly and the handicapped. The development was funded with a loan from the 221 (d)3 HUD program and a Section 8 Based Contract to subsidize the low income Elderly tenants. 1976 PUHC realized the completion of 38 residential units with one, two, three and four bedrooms. 1973 PUHC realized the completion of its first housing development, two properties named Square I and Square II with a total amount of 18 units of 3 bedrooms and two bathrooms each. The development was funded with loans from the 236 program from the U.S. Department of Housing and Urban Development and a Section 8 Based Contract. 1969 Founded in 1971 its main purpose was to address two acute problems affecting the Pico Union community: housing and adult employment. The area suffered a change in zoning, from residential to a mix of commercial/industrial. As result, the first commercial construction to damage the community was Pep-Boys, a mini industrial center. The residents of the community, outraged at what they were experiencing, (commercial vs. residential) initiated a series of demonstrations to reject the change. Because of these demonstrations, various agencies of the Federal, State and local government got together and made available funding to replace the demolished housing. Pico Union Housing Corporation (PUHC) was born out of this movement. 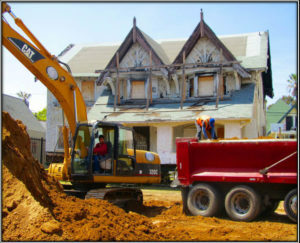 PUHC’s mission statement is no longer limited to develop affordable housing; it also includes a commitment to cultivate economic development projects to improve the socioeconomic level of the area and to address the needs and concerns of residents in all of the neighborhoods it develops in. 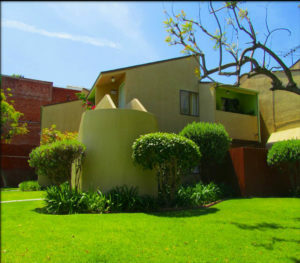 It has pursued this goal through the preservation and development of affordable housing, and is one of the oldest and the leading grassroots, community based, non-profit housing developers in Los Angeles. As local neighborhood conditions have changed over the years, PUHC has expanded its original mission to include providing broadly based social programs to improve the community and economic welfare of Pico Union residents. 1965 Concerned residents of the Pico Union neighborhood joined together to share ideas and establish priorities for improving the physical maintenance of the community as well as addressing sociological issues to enhance the sense of family among its residents and community. 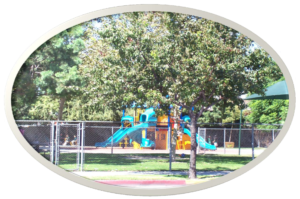 The first undertaking was the development of a community park. Neighborhood youths were employed for the labor and development, which resulted in a significant decrease in the neighborhood’s prevailing crime rate. Encouraged by the success of the crime deterrent programs, the Pico-Union Neighborhood Council (PUNC) was formed and granted a three-year cycle grant by the California Council on Criminal Justice to further develop community recreational facilities. In partnership with the Los Angeles Department of Parks and Recreation, seventeen additional community parks were developed throughout the City of Los Angeles. Pico Union Housing Corporation is a community based nonprofit organization created in 1971 and dedicated to providing housing, employment and training for low-income residents.